Bachelor of Music in Piano Performance, The Boston Conservatory, Boston, Massachusetts, U.S.A.
Master of Music in Piano Performance, The Boston Conservatory, Boston, Massachusetts, U.S.A. Doctor of Education in Music, Columbia University in the City of New York, New York, New York, U.S.A.
Chenyi (also known as Cheyne) is a concert pianist and teacher based in Toronto by way of Taipei, Boston, and New York. Born of Taiwanese and Japanese parentage, she has given numerous performances in North America, Japan, and Taiwan, including a critically acclaimed performance of the Goldberg Variations of JS Bach in Seully Hall at Boston Conservatory. She has performed a recital debut in Steinway Hall, New York City, also participated in a seminar given by Andras Schiff on the topic of the Goldberg Variations at Weill Recital Hall in Carnegie Hall. In 2013, she became a resident of Toronto and continues to devote herself to teaching and performing. In April, 2018, Chenyi performed a recital in Osaka together with Soprano Kuniko Omoto. A graduate of the doctoral program at Columbia University’s Teachers College in New York City, Chenyi’s dissertation was “The Effect of Touch on Tone Production on a Grand Piano” which relates to performance practice and historical studies on piano playing. The New York based master teacher and performer, Seymour Bernstein, was one of the interviewees whom personally given insightful help for Chenyi to complete her academic work. She is also a recipient of Alfred. E. Lee Piano Scholarship, obtained her Master and Bachelor of Music from Boston Conservatory. 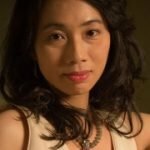 Chenyi has performed in master classes for world acclaimed concert pianists and professors including Monique Duphil, Michael Lewin, Dr. Jonathan Bass, Janice Weber, and Vladimir Feltsman. She has studied with Irwin Gelber and Ada Kopetz-Korf who are both pupils of legendary Scottish-American master pianist and a respectable teacher at the Juilliard School, James Friskin. The teaching methods Chenyi uses with her students are: 1. Music cognitive development for children and young adults; 2. Creativity for music learning; 3. The correlation between the perception of music and the perception of related arts. 4. Piano pedagogy and development of musicianship. The music genre for teaching is Classical Music. Chenyi uses a Steinway grand piano Model B in her studio.